Poster Set of silhouettes switchback. Poster Roller of coaster on white background. Framed Poster Set of banners of roller-coaster and Ferris Wheel. 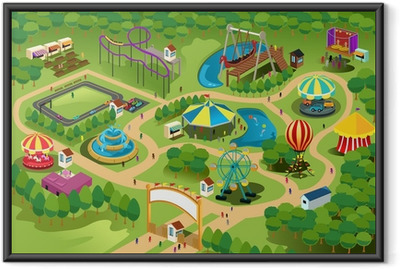 Framed Poster Horizontal illustration of roller-coaster and Ferris Wheel. Framed Poster Rollercoaster against blue sky.